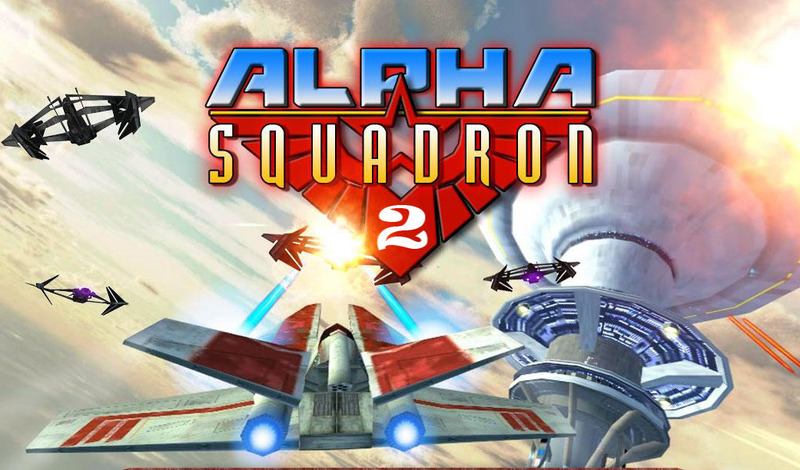 Alpha Squadron 2 - you get the chance to jump into the cockpit of a powerful starfighter and join the galaxy's most daring pilots as they face off against the evil Hadian Empire. You'll engage in perilous battles against hordes of enemy fighters, lumbering mechs, gigantic tanks and huge capital ships. Aerial conflict takes place in a variety of beautifully rendered environments including snow, deserts, highlands, oceans, volcanic lava fields, alien cities, amazing deep space locations and even the interior of a massive space station. Watch out for dangerous combat hazards such as space mines and asteroids as you fight your way to victory in each of the eight starfighters, bombers and assault craft at your disposal. Astonishing 3D details include fully rendered cockpit interiors, real time lighting and special effects (explosions, smoke, engine glow, tracer fire and more). Features fast and furious space, air-to-air and air-to-ground combat that immerses you completely in the game! Features retro inspired space and atmospheric battles in the tradition of the STAR WARS™: ROGUE SQUADRON 3D series of games and includes two tours of duty and over 80 missions including an insane survival mode! With an epic storyline that will keep you glued to your seat and a medal/rank system that will make you want to play again and again to score a gold, you will not want to put this one down! Includes bluetooth gamepad support! The game is offered for free in trial mode. This allows you to experience the first story mission and play the tutorials for free before purchasing the full version. There is no time limit, ads or other such limitations for the trial version. • Lets you choose the right ship for the job, if you want to fly the enemy's fighters, you can do that too! IF YOU LOVE THIS GAME AND WANT TO SEE MORE PLEASE RATE US ON GOOGLE PLAY!! !